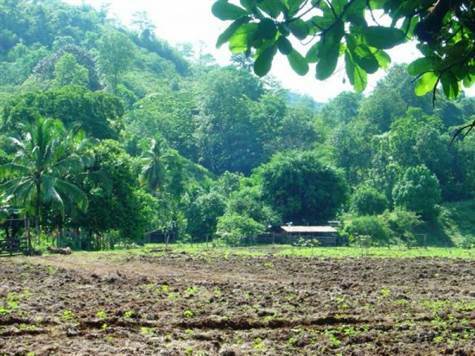 Secluded ranch located in the OSA peninsula with african palm. Majority of the farm is flatland ideal for agriculture or livestock rimmed by ridges with forest offering expansive views of the entire valley and the farm below. There is enough flatland to put in your own airstrip. The farm has an abundant water supply, a spectacular waterfall with pool below, a couple of farmhouses, and just a super well maintained working farm with character. Property also has access to the Sierpe river via an estuary that enters into a section of the farm. The Sierpe is the gateway to the Corcavado National Park. The abundance of wildlife you will find in and around this property are amazing.